Want Know How To Pass A Driving Test? Passing your driving test is simple if you know how. If you are worried about taking your test or you’ve already failed several times these methods ensure you will pass easily. Let’s face it if your instructor has decided you are ready to sit the test you are ready. The trouble is nerves get in the way and guess what, you fail. Now you have all the expense of going through the test again, not to mention the fear of repeated failure you take with you on your next attempt. What would it feel like if you could approach your driving test with extreme confidence? Those who have used these methods have already done that. Some of them had already failed over 5 times and yet once they found out why they failed and what they could do to remedy the fact they immediately passed. It’s an expensive business sitting your driving test and each failure involves more and more expense not to mention the stress repeated failures cause. You are probably already aware passing your test is a mental thing. It’s what’s in your head that creates success or failure. Imagine if there was a little instruction manual that meant you could pass easily. Passing your test is the easiest thing in the world once you know what to do and how to do it. How much could you save by knowing the secrets to passing and having techniques that work every time. You won’t find this information anywhere else. 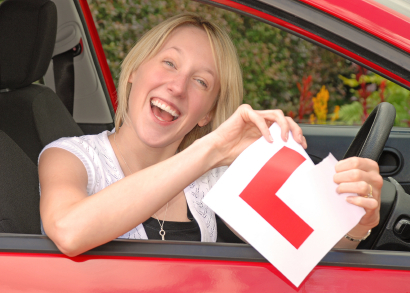 Even top driving instructors don’t have a clue how to ensure their clients pass first time. When you learn how powerful your mind is and how it works you will easily understand why you have failed before and how you can use the information to pass your driving test easily. This program is nothing to do with driving, that’s the job of your instructor. You already know how to drive. It addresses your mind where the problem begins. Success or failure starts in your head with the way you think but if you have no idea how your mind works you could be in big trouble. Christine uses her extensive knowledge of how the mind works added to hypnotherapy or EFT (Emotional Freedom Techniques) to enable her clients to pass their test easily. The techniques are so successful that she has not had one single failure in all the time she’s worked with clients. If you live too far away to benefit from Hypnotherapy why not consider working with her on the phone. She will give you all the information needed to pass your test easily and instruct you in the use of EFT which will tap away all your fears as if by magic. 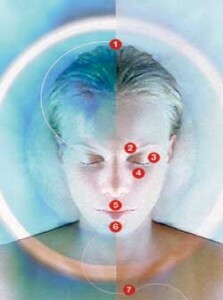 Prepare to be amazed how effective this therapy is and how easily you can pass your test. EFT has literally taken the world by storm since it’s beginnings back in the 1970’s. More and more therapists are learning it and using it alongside their original therapies with clients. It’s so easy and so effective that those who don’t know it or use it are behind the times. It’s easy to both l;earn EFT and to use it and many of those who have benefited from EFT have gone on to learn the basics by attending a one day beginners workshop. During a beginners workshop you could learn the rudiments of EFT so you can use it effectively in 70% of cases. Imagine being able to work on your own issues and those of family and friends? While more complex issues are best dealt with using professional help many headaches, fears, phobias, nerves, stress and other things can be dealt with as they arise with a basic knowledge of EFT. EFT can be used on absolutely anything and anyone, including children of all ages and pets.